The Series 6000 Torque Measured Metal Bellow Coupling is a free of float metal bellow coupling with integrated torque measurement. It has a non-contact measuring system and is highly robust. 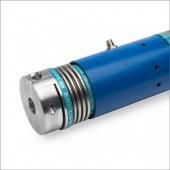 See the data sheet for the Series 6000 Torque Measured Metal Bellow Coupling below.